Russia's annexation of Crimea propelled President Vladimir Putin's popularity to stratospheric highs — up to 80% — where it hovered for years. Now, economic stagnation and unpopular policies such as a value-added tax hike and, critically, pension reform have dragged his ratings back down. Recent polling shows his approval down to the neighborhood of 60%. Why it matters: Putin is still a popular leader by international standards, though his approval has dropped back to pre-Crimea levels — a time when he faced serious political protest. Unlike in 2012, however, Putin will find it difficult to pin the economic sources of the decline on a foreign plot, and, absent the right opportunity abroad, will struggle to divert the Russian populace's increasing dissatisfaction with its stagnant fortunes. 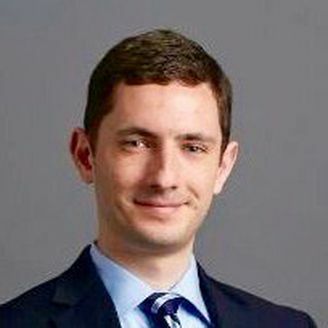 Aaron Schwartzbaum founded and writes a column for BMB Russia, a daily news brief from the Foreign Policy Research Institute. Russian President Vladimir Putin is all but guaranteed to win Russia's presidential election on Sunday. Voter turnout, on the other hand, is less certain. 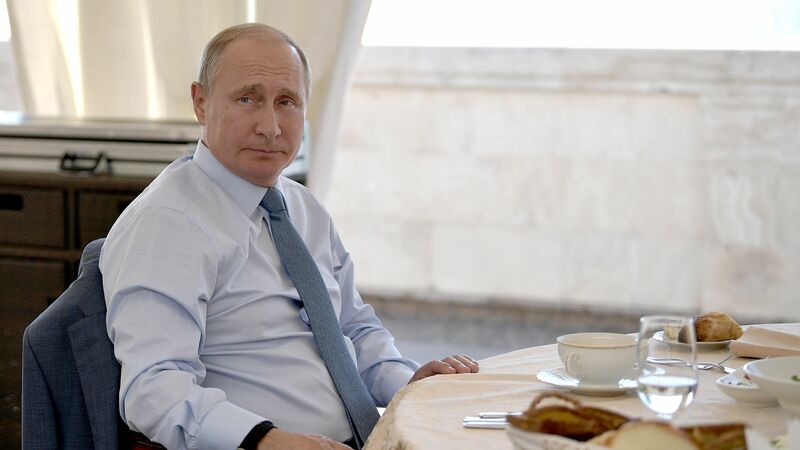 The Kremlin has set a target of 70% to secure the appearance of Putin's legitimacy, but, according to recent polling by the Russian Public Opinion Research Center, no more than 67% of voters plan to show up. Should too few voters turn out, that might hand Putin margin of victory high enough to look illegitimate. Why it matters: Putin isn't just looking ahead to his next term — he's looking at his own political future. He will need a resounding and legitimate-looking win to jump-start the term, as well as to plan for what happens beyond 2024 — when, for now at least, he is again barred from remaining president. Growing dissatisfaction in cities: Recent polling finds Putin's approval declining over 10% in Russia's largest cities. Although Putin has not drawn support there in past elections, his support in smaller cities — his traditional base — has fallen as well. Get out the vote operations: After a slow start, Putin is now campaigning. Meanwhile, local leaders have turned to a number of strategies to gin up enthusiasm at polling places, employing both carrots (festivals, prizes for polling organizers that draw more voters) and sticks (threats to job security). October surprises in March: A public health crisis involving a landfill near Moscow, which drove more than 5,000 people to protest at the beginning of the month, may mobilize voters. Meanwhile, should the U.K. and other European states respond more aggressively to the attempted assassination last weekend of former Russian spy Sergei Skripal in England — though that hasn't happened just yet — the Kremlin may take it as an opportunity to rally Russians around the flag. The bottom line: With the election effectively decided, turnout is the best barometer for Putin's support. The degree of "legitimacy" he pulls out will be critical for building political capital as he enters his next term. Aaron Schwartzbaum is founder and editor in chief of the FPRI Bear Market Brief and a Russia and Ukraine analyst at Geoquant. Putin has delayed his yearly address to the Federal Assembly (Russia's equivalent of the State of the Union) until later in February — ostensibly to boost intrigue surrounding the election. Reports suggest he will use the speech to lay out the agenda for his presumptive next term, one that will feature potentially painful reforms such as tax increases or a higher retirement age, alongside popular spending increases on education and healthcare. Why it matters: Due to years of economic contraction and stagnation, Russians are increasingly demanding measures to improve their living standards. Over Putin's last term, Russia's foreign policy was trumpeted at home largely in place of a real domestic agenda, with "making Russia great again" sufficient to garner votes. That approach, however, has lost the political appeal it once had. Moreover, with the potential for this next term to be Putin’s last, the importance of shoring up the stability and legitimacy of his political system has only grown. The bottom line: Barring crisis, expect more inward policy and rhetoric from Russia's leadership in the year ahead, if not longer. Whether meaningful reforms are actually delivered is different question altogether.